My personal favorite year of Forester XT! This one comes with the front Sport bumper which I think has the best looking front bumper of any Forester. 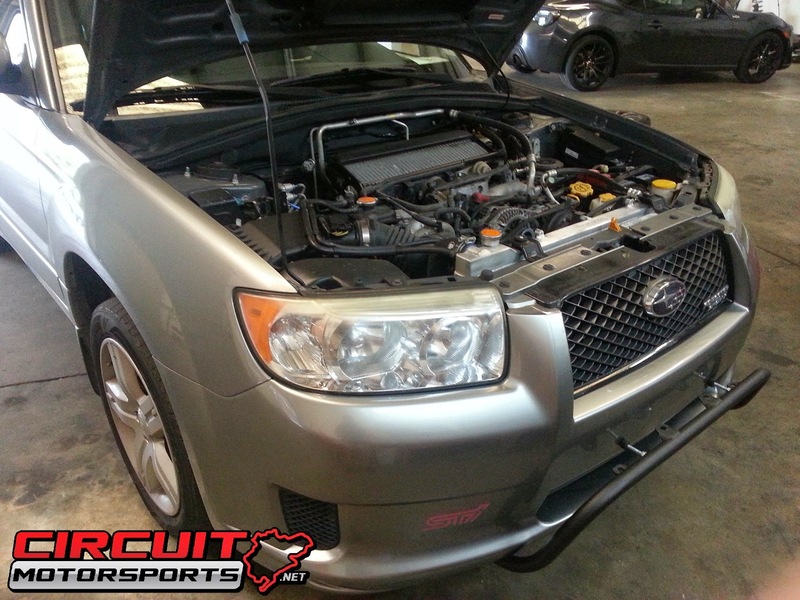 Today we are doing a Cobb Stage 2 upgrade on this FXT which includes a Cobb Tuning Downpipe, Cobb Turbo heat shield, and DEI Titanium downpipe heat wrap. Besides a fuel pump upgrade and the Cobb Accessport these are the basics to do a solid stage 2 upgrade on any turbo model Subaru. After the install all we had to do is flash the car with a Cobb Off the Shelf Stage 2 map and its good to go! 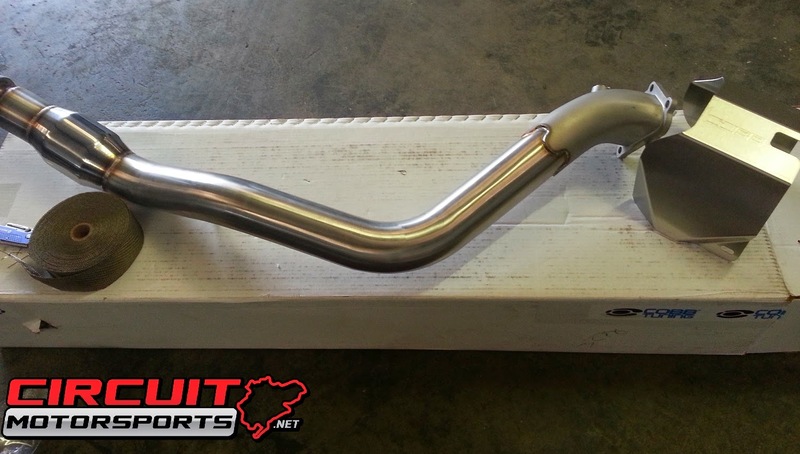 Cobb Downpipe / Heatshield & DEI wrap in Orlando. 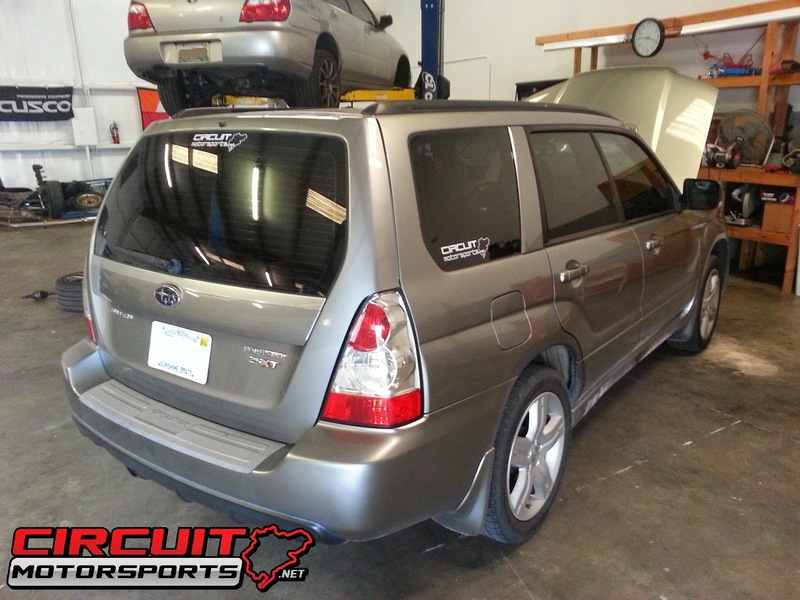 Subaru Forester performance parts in Central Florida. If you're in the Central Florida area and you're looking to do some safe/reliable upgrades to your Subaru just give us a call and we can get you taken care of! Everything from performance installs, OEM repair, and ECU Tuning we've got you covered!